What is all the fuss about infused waters? Is it just another way to drink tea? Let’s find out about this new trend that is gaining more fans every day. We also present to you two new herbal teas, a cure-all Asian favorite herbal tea and a wonderfully scented calming herbal infusion. 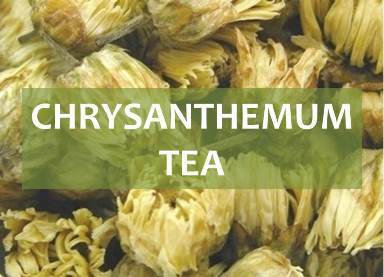 Chrysanthemum tea is an herbal infusion that high appreciated in many Asian countries for its wonderful cooling nature and its delicious flavor. With a long history in traditional medicine, this tea is often used to treat a cold or bring down a fever. It cools your body, so it is the ideal tea to have in the summer months. Water Infusions or Iced Tea? Which is Better? A new trend seems to have hit the world in the past few years: cold water infusions. Are these infusions any different from a regular iced tea? Let’s take a look. 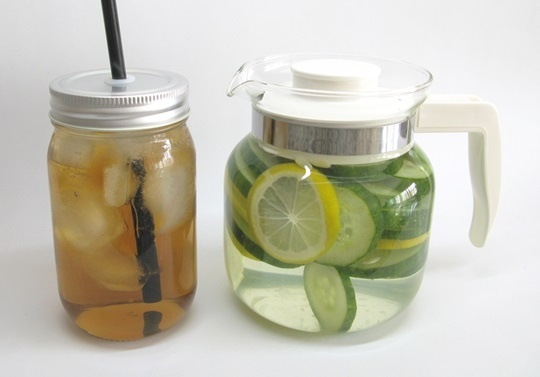 Have you come across a jug of water with lemon and cucumber slices or berries and mint? Water infusions are just this: water infused in a combination of fruits, vegetables and herbs. No more preparation is needed than slicing or chopping up your ingredients, placing them in a jug filled with water and waiting. In a few hours you get infused flavored water. Over ice cubes or cooled in the refrigerator and you have a tasty beverage at hand. How is this different from any iced tea or tisane? The first difference is that as soon as you use tea leaves, then you have a pot of tea, no matter how you brew it. Then there is the method. To make herbal or regular teas, in most cases you need to heat up water, brew for a certain number of minutes, strain and pour over ice cubes or put in the refrigerator to cool down and drink later. Availability of ingredients – we all have fruits and vegetables around the house (or we should), even when dried herbs are not available. You can be as creative as you like, because you can use ingredients that would not likely stand well to hot water and be able to be reinfused later as they would be cooked and release most components on the first round. 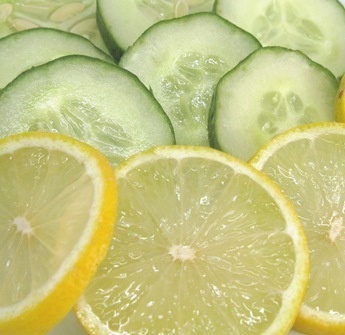 Example: a jug of lemon and cucumber slices may be reinfused in cold water up to about 2 to 3 times. It is always best to use real fruit when compared to flavored tea. Lemon-scented is not the same as real lemon. Easy to prepare: just slice up vegetables and fruits, place in a jug, fill with water and just pop into the fridge. No need to heat water, control water temperature or steeping times. You can use tea leaves and get a caffeinated beverage rich in antioxidants. Infused waters are made with ingredients which are caffeine free. Flavored teas can add an additional layer of flavor when you don’t have a particular ingredient at home. Brewing herbs and tea with hot water allows you to unlock the wealth of benefits in each herb or tea. Cold water infusions may not be able to achieve this. If you don’t want to wait hours for your drink, brew a pot of tea, pour into a glass full of ice cubes and in minutes you can enjoy your drink. What if you don’t have a kettle? Then you may brew a pot of sun tea! Place your tea leaves or herbs in a jug with water. Leave the jug in the sunlight for some hours and allow the heat of the sun to do its work. 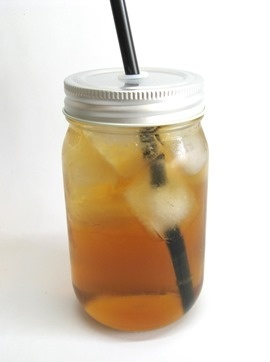 Note: check out more about sun tea recipes: here. If you have a problem with caffeine, then it is best to only go for herbal infusions, either with hot or cold water. Unless you find a decaffeinated version of your favorite tea. When preparing water infusions, make sure to properly wash your vegetables and fruits. Most recipes don’t call for peeling of your ingredients, so be careful to wash away dirt or pesticides. All teas that use hot water tend to be stronger in nature, make sure not to go beyond recommended dosage for each herb or tea. It’s easy to forget when you have a refreshing beverage in your hand. Note: you can read up on some herbal teas here to learn how to best make them and to make the most of them, too. 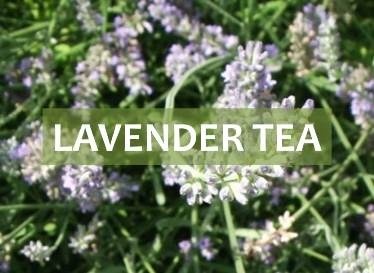 Lavender tea is made from the flowers of this Mediterranean herb that is loved for its many health benefits and for its beautiful color and amazing perfume. This is the ideal tea to drink when you are restless and can’t fall asleep. When stress gets to you it can cause havoc in your whole body and a cup of this tea could just help bring it back into balance. 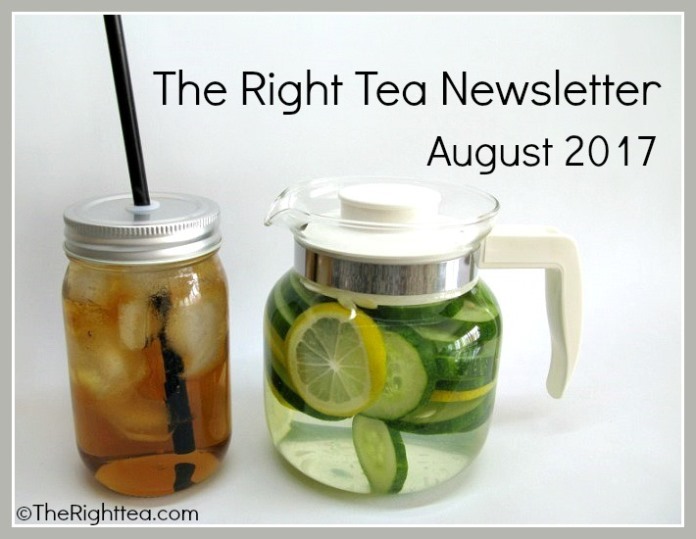 More information about tea is coming, so keep on the lookout for the September issue of our newsletter. While you wait, look around our website and learn more about tea and its health benefits.